Bonjour people! How did you spend your weekend? Well if you ask me, I was surrounded with my book, with my study glasses on as I was preparing for my graduations finals. Though I have my exam on my head but writing for you guys is my first priority, so am back here to write something interesting for you people again. Coming back to the point, after a long conversation of “what did I do this weekend?” it often happens with us that we read something and it leaves a deep mark on us. We keep on thinking about the same thing again and again and try to implement it somewhere in our lives. A perfect quote indeed to describe the true meaning of a journey. Few years ago, I read this quote painted on a wall somewhere in Rome and since then it has been inspiring me. Not only has this quote occupied the first place in my travel quote book but also it has a very special place in my heart. There are times we feel low and there is something that inspires us to get up and move again, well this is what this quote does to me. Travelers wander like nomads and I am no different but after reading this one line I discovered what travel actually is. “Explore” is what this quote shouts out loud to me. Go and find something new, discover; it whispers in my ear. I know I know most of you might be thinking that I have lost my mental balance but if a painting can inspire so many you then why can’t a quote inspire me? And as they say travelers can get inspired by anything, they just need a little push to make a new discovery. 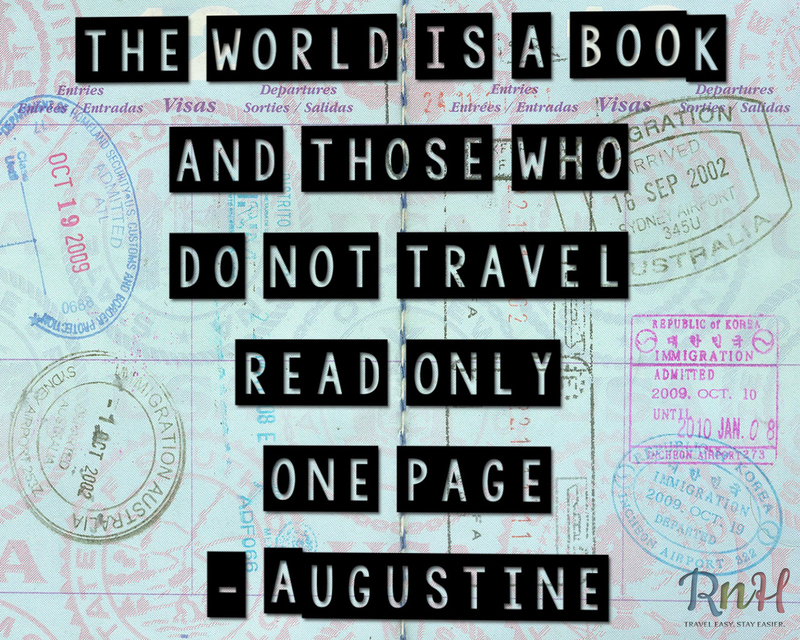 P.S if you are still wondering what a travel quote book is then click the link below and find it out. Now is the time for me to push off.